Navigate down to 'General' and tap on 'About'. Here you will see a list of options, locate 'Version' and to the right will show you the current iOS version the iPad is running. Log into your SwipedOn web dashboard here. 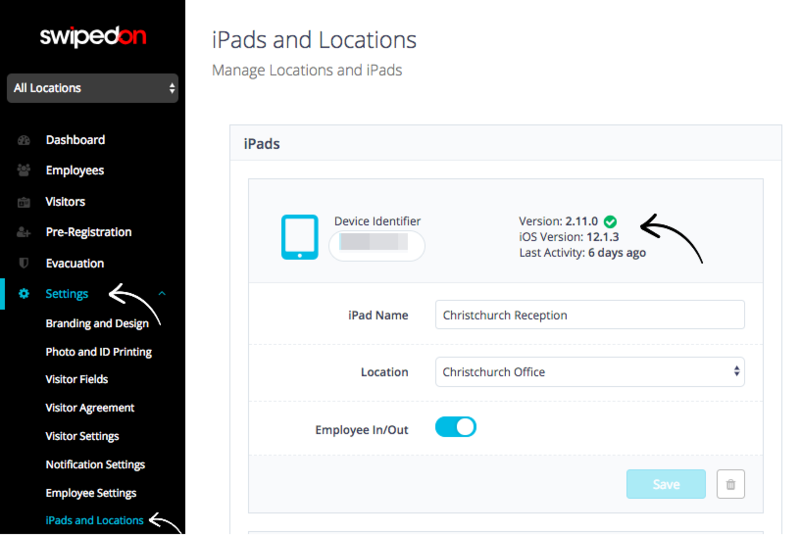 Each iPad will show the below details, here the current 'iOS version' along with the current SwipedOn 'version' and 'last activity' status will also be visible. 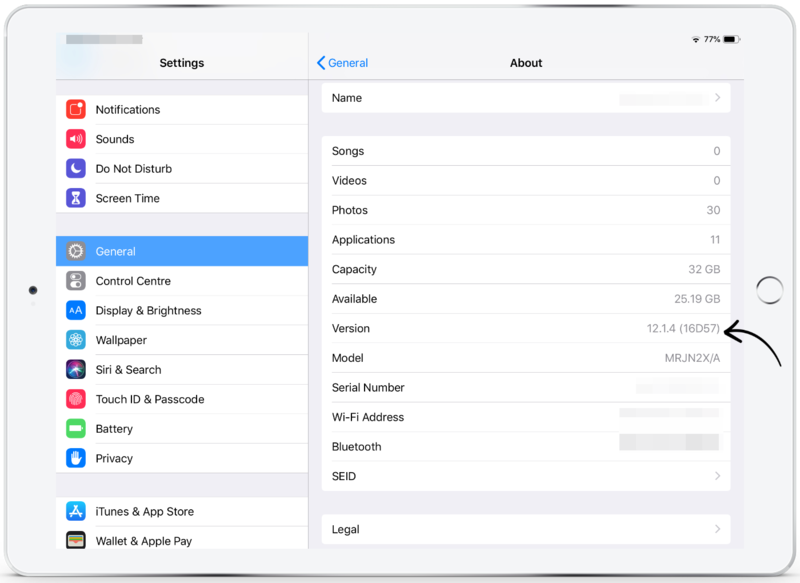 If an update is available to apply, please find our help article that will step you through how to apply an update for the iOS on the iPad.